Developing a mobile app is a big step for any business, no matter the size. However, it is extra important for small companies or startups because they have more relying on it and more to gain from it. A mobile app can make all the difference with a small business, regarding generating more sales or improving the brand’s recognition in the market. When you develop your app, it means taking the business to the next level in the game. Statistics show that by the end of 2020, mobile app revenues will reach 189 billion and it’s only on the rise. 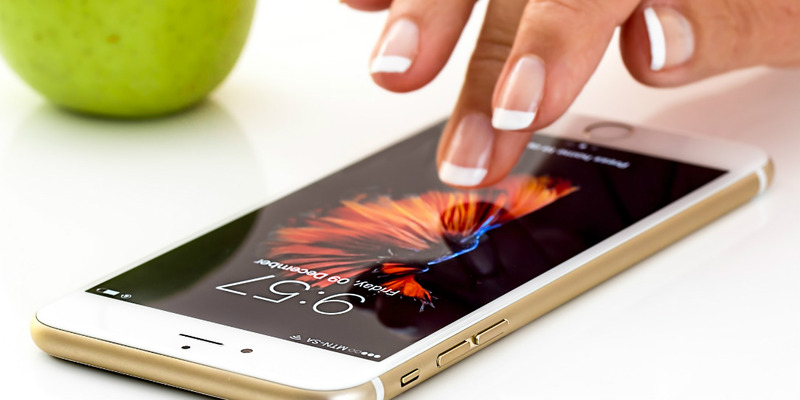 Offering the customer the product or service through an app on their phone not only increases customer engagement but the convenience is a boost that helps the customer purchase your product more accessible. Now that we know what a mobile app can do for your business let’s go through why outsourcing development is better than in-house development and how to get it done. In-house Development or Outsourcing development? Many business owners believe that hiring in-house developers to get the job done will save them more money than hiring a mobile app development company. However, this is not the case. In-House developers can cost more than outsourcing development. Lack of experience: Your IT department may know a huge deal when it comes to the web, but that doesn’t necessarily mean the same for mobile development. Since mobile app development is relatively new, finding someone competent or someone that can do it all isn’t easy. They wouldn’t have the required experience to develop a polished app which means more time is needed to get it done efficiently. Higher Cost: At first, hiring in-house developers may seem like a logical decision but getting the resources to hire a whole team of developers, designers, and engineers will be difficult. Not only because you’ll need to go through an intensive hiring process but to initiate the development process, it will require a specific skill set and tools and the final stages and testing will also consume time and cost. Starting something from scratch is more laborious than hiring experts to get it done and give you a polished app ready to launch. Amateur-level app: Hiring experienced mobile developers isn’t cheap, so even if you hire one and train other developers, it will never be done on a global scale or a professional level, dimming the chances of turning your business into an enterprise. A poor app representation will only reflect poorly on your business. Outsourcing app development can mean many things; it can be developed by freelancers, small app development agencies, or big, experienced development agencies. The options are many, and that is what makes it more reliable than in-house developers. Freelancers can be risky, but it is worth considering if you have the right funds for it. You can find multiple freelancers on popular platforms like freelancer.com or upwork.com. What to remember when looking for freelancers? Cheapest doesn’t mean the best, offshore developers may be great for their low cost, however; you’ll also get minimum technical standards and skills. Experienced freelancers will cost more than in-house development. Hiring grade-A freelancers are expensive; it is difficult to find a jack of all trades so you’ll need to contract individual freelancers for development and design, each charging an average of $125 per hour. This will quickly exhaust your funds if you’re not careful. Freelancers come with the risk of poor communication and results. Not being able to reach out to a freelancer whenever needed easily can cause misunderstandings and mistakes. The best thing about development agencies is that they come in all forms and sizes! There are big agencies like Appster or Zco that target big corporations. These agencies, of course, come at a very high rate and are usually not the best option for small-medium sized businesses. Then there are agencies on a smaller scale like Softxpert that tend to your unique needs as a business and help you grow. What makes it the best option? Experts on the job: Opting your app development to an agency means you’ll get a group of talented experts varying from developers, UX & UI designers, project managers, and engineers that have experience in app development projects and can depict the app you have in mind. Up-to-date with innovative technologies: Development agencies are highly equipped with the right tools and skills to develop apps on a higher scale. Any new updates, tools, or tricks, they will be the first to know of. Guaranteed Efficiency: You can trust development agencies to give you quick results and excellent quality. They will have answers to all your questions, update you on app progress, and imply your brand customizations on your app. A skilled agency will care for all the small details in regards to technical development, UX and UI design, and functionality. Same cost, better services: You can find a highly skilled development agency at a better rate than paying hourly/ monthly salaries to a whole in-house team. So you’ll be getting better quality at a lower or similar price. Even though development agencies are your safest option when developing an app, they can be the most expensive option if not careful. Large development agencies can charge up to $200 – $300 an hour, given the number of months it takes to develop an app, it can overtop in-house hires. If you have a tight budget, it’s best to look for smaller scaled agencies and get an estimate from them ahead of time. The same concept that applies to offshore freelancers applies to agencies, they may be the least expensive option, but you need to be sure they’re good enough, check previous apps they’ve developed and made sure they’re experienced in your specific business. Also, different time zones can lead to miscommunication which will only make it harder for you to explain your ideas and follow up on work progress. You have to be aware of both time zones and work around it. And finally, what to focus on when looking for an agency? There are a few things you need to keep in mind when looking for an agency. For starters, make sure they’re good at what they do. Your target is to find a qualified agency at a reasonable rate that won’t drain your resources. Ask questions, don’t be shy! Communication is critical when working on a project, don’t hesitate to look at previous apps they’ve designed, ask about their skills, follow up on any updates or ideas. See how fast it takes them to reply and keep you posted, can they be trusted? Confirm they have the expertise and experience required to take on this challenge, give them a clear idea of your requirements and be sure they can deliver. Get a free quote of what your app will approx. Cost so you would know exactly what you’re getting into. Building a mobile app is not an easy process; it is time-consuming and costs a lot. But with the right agency, you can be walked through the whole process, watch it come to life, and in the end, present a polished mobile app to your customers.